Effective lead scoring is the route to creating enhanced and unique customer experience. While nurturing a lead, it is also important that you rank one lead against another objectively. It is helpful in various respects. Firstly, it helps in organizing the follow-up process and reply to inquiries. Secondly, it helps in identifying the stage of your prospective buyer with their buying process. It also helps in improving the collaboration between the sales and marketing departments. When the definition of a good quality prospect or a lead is established jointly by both the marketing and the sales teams, there is a better possibility of exchange of feedback on those leads that are eventually sent to the sales team. Moreover, the scoring of leads also ensures that some of the top-level leads are prioritized and followed up without any delay. This is done based on the potential for revenue and the readiness of the buyer. What Is the Importance of Lead Scoring Today? Optimization, in other words, getting more out of less is the mantra of most corporates, and the rippling effect of this mantra is seen at all levels in an organization. If you take the examples of generating demands by the marketing group of your organization: What is the practice to ensure that all the prospective buyers end up in increasing your sales? The common practice is to hand out a long list of contacts to the sales department and then expect them to make phone calls to all of them. However, it is likely that most people from the sales department would give up after making a few phone calls that result in nothing. A blame game will follow it, and in the end, nothing would come out of it. It is essential to understand that such actions in an organization is not healthy and might even be counterproductive leading to extreme inefficiency in the organization. The productivity in sales can face severe setbacks if the sales representatives are given hard targets because it might result in less efficiency in the regular daily work assigned to them. It results in losing the focus and undermining the ultimate goal of doing more work in less time and with fewer resources. In this process, many new leads and more lucrative leads are lost because they end up losing the top places in the priority list, and the time is lost with other junk leads. If there are less number of leads, it will give the sales representative enough time and opportunity to start off with the most lucrative opportunity and be on top of the game as compared to the competitors. However, to achieve this, they need to prioritize the leads well. Lead scoring has another advantage of helping the organizations to prioritize lead in a very subjective way and also applying a scientific and analytical method to manage it easily and cost-effectively. The efforts of the sales teams can be directed efficiently and effectively if the lead scoring is done the right way. The right way of lead scoring means prioritizing of leads on the basis of the profile as well as the interest level of the prospects. There are more benefits of prioritizing leads than you can imagine. To begin with, you can apply lead scoring all through the departments of marketing and sales. The companies that are forward-looking make sure that they apply the scoring to the algorithm, opportunity and other varied stages in the buying cycle of a lead. With the help of scoring, companies can focus all the efforts on the leads where they are likely to get better returns. How did Lead Scoring Evolve? BANT is the acronym associated with lead scoring. Marketing and sales executives of almost 99 out of 100 companies use BANT for lead scoring. It is a definition that was commonly developed in the last ten years to identify appropriate leads. However, with changing times, buyers have also changed, and they start to gather all the relevant information much in advance. In many cases, they establish their timeline and budget much later. Moreover, it is not very likely that they would reveal such details to a sales executive over a random call. On the contrary, buyers greatly rely on the internet to get the relevant information. They have access to numerous case studies and whitepapers that they easily download. Additionally, they get in touch with their peers to get more information from their experience and also rely heavily on social media to look at other people’s experience. In this process, salespersons are nowhere to be found. Hence, to keep up with the new system of buying, the system of scoring of leads needs to advance at a similar pace and use various other data to understand the quality of their leads. There are explicit criteria like the industry or revenue of the company or even the job title to determine the quality of your lead. But behavioral or implicit information about the buyer is the key to understand their true interest in buying. If you focus on the digital behavior of your leads, you can easily determine their interest level in your company and the content that it offers. Nevertheless, according to the recent trends, you need to focus on certain behavioral aspects like the frequency of interaction of your prospects with the content that you provide as well as your company. It is done because often the behavior can be a better indicator for lead scoring that data that is collected through internet or phone. It is like a partnership or understanding between the marketing and the sales teams and setting up of certain parameters together to define the quality of leads, the frequency of follow-ups, and the levels at which collaboration should occur between the two departments. 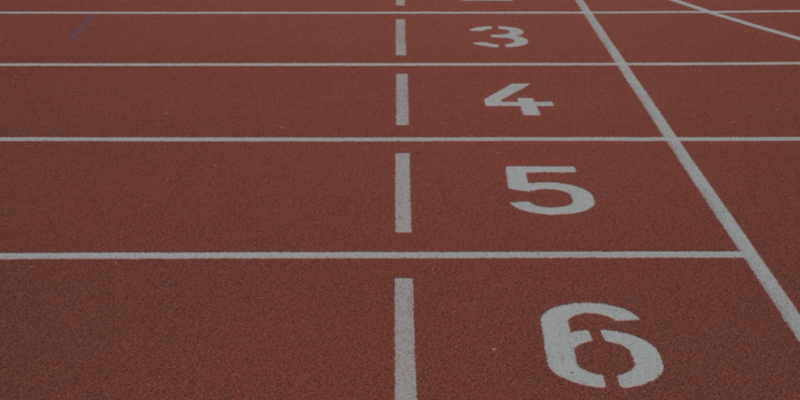 If a model for lead scoring is developed with mutual collaboration, the sales and the marketing teams can have some set rules and grounds to define what kinds of leads would be considered a hot lead. In this way, you can develop a system for lead ranking for your entire organization that will help you have a priority list of leads based on higher possibilities and interests of your prospects. Once you have defined the parameters for prioritizing leads, you can move ahead with the discussions on the specific leads that need to be moved to the marketing department or the ones that need more nurturing. If the lead scoring and quality checks are done well in advance before it is moved to the sales department, you can also keep a check the performance of your sales team at engaging the leads and closing a deal. Additionally, lead scoring practices that have set rules and standards keep you in a better position in controlling the list of prospects. If you understand and measure the level of your leads in a better way, you have better chances to forecast your revenue in the given financial year. It also helps you assess and view the possible shortcomings that might arise in the revenue based on the product line, territory or the unit of business. It allows both sales and marketing teams to remain focused on the right prospects where there is likely to be a great impact. The main idea behind the scoring of leads is to have a better understanding of your leads to see if it has explicit scoring with the right people or if it has implicit scoring with people who show a high level of interest. Having this information handy, you can prioritize your leads accordingly. If you want to have an effective lead scoring strategy, you need to find a way to list out, score and then measure the information. The most tried and tested approaches include three important aspects, i.e., people interested in your product/services, process, and the technology. When it comes to the aspect of interested people, you need to have a team of executives as well as the involvement the sales team. When it comes to portion, both sales and marketing teams need to come together and set some ground rules to define a lead and the right time to transfer it from marketing to the sales department. Finally, for technology, you need to have software that can easily take in the information, facilitate the handoff for leads and process the feedback in the right way. The focal point of lead scoring is to generate the leads that are ready for sales and can be moved to the sales team for a better qualification. For example, the determination of need, authority, and timing. How Can You Create a Lead Scoring Model? If you want to have an effective lead scoring model, you need to have a combination of the behavioral as well as the demographic data in order to prioritize your leads. The explicit data determines the details of the prospect such as the industry, company revenues, and the title. The implicit data determines the level of interest and engagement of the prospect and this is indicated by the number of times your prospect visits the website and their response to the promotional messages. ● Have 4 or 5 categories for explicit data in order to define the qualification of leads that are ready for sales. ● List these categories in terms of their importance and assign them a percentage ranking. In the end, the total must be 100%. ● Have a corresponding criterion within the given categories as well. ● Have categories for implicit data to define if your leads are ready for sales. ● List out the importance of these categories in terms of one another. ● Give values ranging between 1 to 4 where 1 is the most engaged prospect, and four is the least. The best way to have an effective lead scoring strategy is to keep is as simple as possible. Notably, in the beginning, having scored with too many criteria can make it too complicated, and you might get lost as to which criteria are being used to define the score. Moreover, you need also to ensure that you a group of essential individuals work together from both marketing and sales teams to set certain criteria and rules for business. This group also needs to make sure that important adjustments are made in every quarter. You need to have clear documentation of what happens with each of your leads right from the start when the nurturing process is in place to the point when the sales hand-off happens. After that, you need to understand the impact of scoring on compensation. If the scoring is not done well and is only based on the total inquiries or the additional people that enter the database, the process of going for better leads can obstruct the achievement of other important goals. When you practice scoring of leads, you must use a criterion for the scoring that is in association with the standardized values of data. It will help in a smooth refinement and execution. You must set up ground rules to define the time for follow-ups. In other words, a service-level agreement (SLA) can be defined with the sales team in order to designate the total amount of time that should be given for a follow-up. For example, there can be codes like A1 and B1 are the leads that need to be followed up within 24-hours and A2-3, and B2-3 are the leads that need to be followed up within 48-hours. You must use lead disposition to help the sale team with the options to follow up. 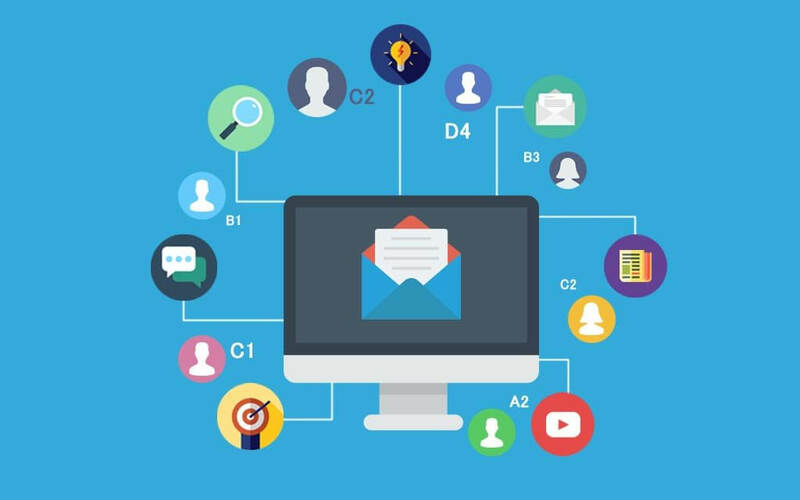 It includes automated programs for lead nurturing that provide information to educate the leads till they are not ready to go for the sales. Once you have a system of scoring in place, you must also take continued efforts to evaluate it. You can take feedback directly from your stakeholders to understand whether your scoring system is accurate in showing the quality of your lead. You can also check the acceptance rate of your sales as a parameter of your scoring system’s health. You must also keep rating and measure the impact of your scoring of leads on your sales. Often conducting an analysis of closed deals can serve to expose some of the insights that you can incorporate to improve your over system of lead scoring. How is Lead Scoring in the Real World? Molex is an international manufacturer who managed to augment the marketing qualified leads (MQLs) almost by 93%, and the sales pipeline leads were increased almost by 380% once they started implementing the system of lead scoring. ADP managed to increase the winning rate for their business service company by 103%, and their revenue was increased by 48%. It is important for you to discover the novelties in lead scoring and keep checking what lies in the future. Amplifying the Awareness of Your Prospects Helps: You must understand how and when your leads learned and discovered the messages from you. Scoring Based on Content: Understand what kind of content worked better amongst white papers, testimonials, public information, etc. Scoring Based on Customer: Understand your customer throughout the buying cycle so that you can make a note of the risks and opportunities attached to each customer during the entire cycle. Scoring Based on Opportunity: Even during the buying cycle, you can make an assessment to understand the likelihood of lead conversion. With the help of an objective lead scoring approach in ranking your leads, you can easily plan the follow-ups with the prospects when they send an inquiry and recognize their stage in the buying cycle. The scoring of leads ensures a good partnership between the marketing and the sales teams. It also makes sure that proper efforts are concentrated on the right ones. With the help of the best practices about the scoring of leads mentioned here, you can easily increase the conversion rate of your leads making your organization as well as sales and marketing teams more effective. Thanks a lot for updating the article. It is an excellent useful resource for marketers. Great article! If a company doesn’t have the time or skills to do their effective lead scoring, then this is an excellent guide to get started! Since marketing ways have evolved, hence it’s necessary to prioritize your leads by points. Good Work Ankit! Great blog! Ankit as every small detail regarding modern marketing has clearly explained. A marketing campaign always requires a marketer to prioritise leads on the basis of points. Well- written article! Ankit! 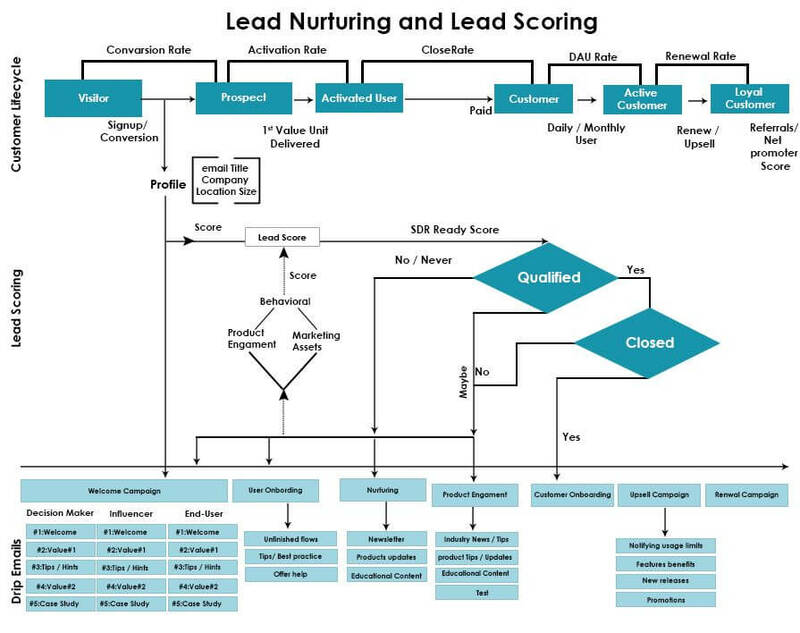 A very impressive article about the active lead scoring setup for modern marketers. Thanks a lot for updating the article. It helped me to empower the marketers to score leads. Lead scoring is a general aspect of a marketing campaign. Based upon the activities of the leads by prioritizing the most qualified leads, it empowers the marketers to score leads. This article describes the lead scoring in brief. 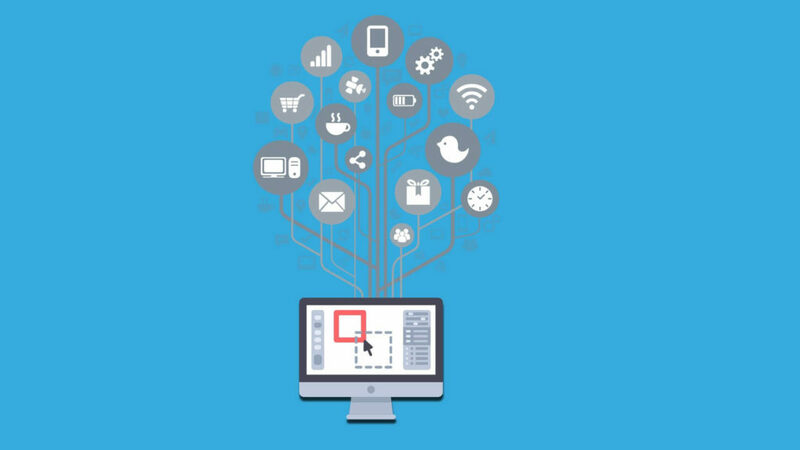 Modern marketing has changed in many aspects and it is necessary for marketers to adapt to these changes. Very elaborative guide you have here. Great work.